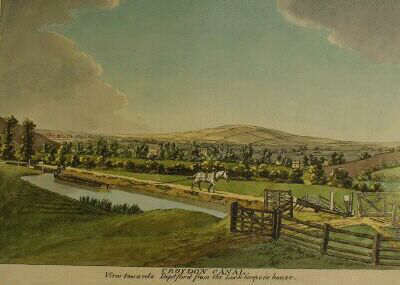 The canal snaked around Forest Hill in a ‘S-Shape’ following the 150ft contours. It is possible that is passed through part of the site at the Souther end (OS Map 1896). In the 1830s the London to Croydon Railway was constructed following a straight course through the cutting. Extensive earth movements must have created huge amounts of spoil which may account for the uneven topography of the site. Evidence of past building materials can be found and this may be a clue to the path of the canal. The Tithe Maps and the equivalent Apportionment Book show that the surrounding land use at the time was mainly pasture with some arable. The may have affected the site when the woodland was cleared. Remnants of the Croydon Canal can be found in Garthorne Road. More information about this can be found on Diamond Geezers blog. More images of the old Croydon Canal can be found on Steve Grindlay’s Flickr page.